In this week's Friday Feature we are taking a look at a few tricks of the trade when it comes to running and understanding smuggler underworld missions which is exclusive in-game content for the Smuggler profession. 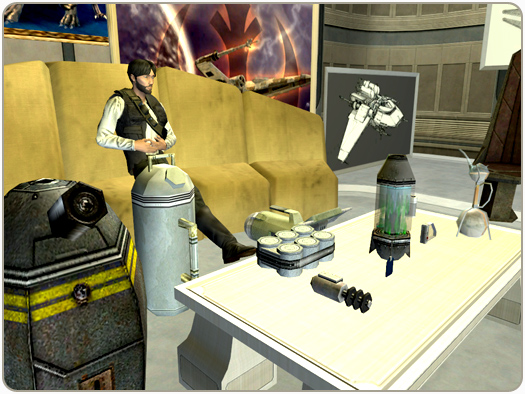 Once you find contraband, you can take it to any of the smuggling Brokers located throughout the galaxy. There is a Broker named Barak in Bestine on Tatooine (-1049, -3538) that can start your smuggling career, but there are many Brokers to discover. When you speak with a Broker, he will give you more information about the various smuggling missions and delivery assignments available. If you don't have any contraband, you can also go directly to a Broker for smuggling missions. Some Brokers already have contraband that needs to be delivered safely to their customers...for a price. 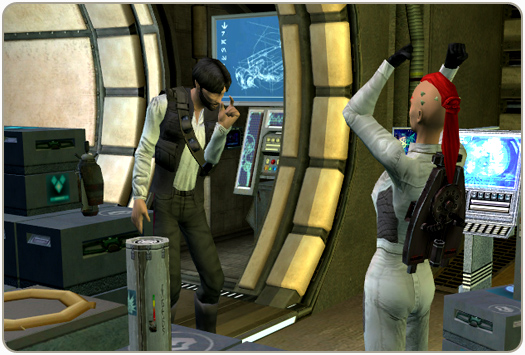 Once you take a smuggling mission, it's up to you to run the goods to the Broker's customer. Broker's clients are underworld criminals, so there's always an element of danger involved. 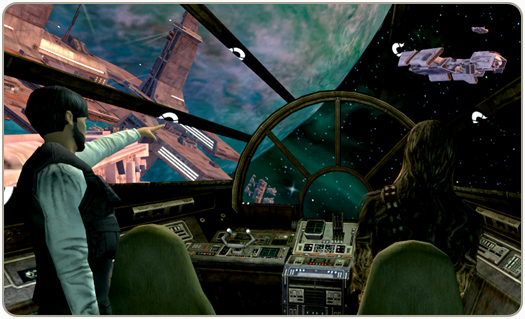 Smugglers can expect to be randomly attacked while delivering contraband so be on guard! Once the contraband is successfully delivered, you will win the mission and be rewarded with credits and Underworld Faction. If you die at any time during a smuggling mission, the mission fails. "Well, there's a price on my head. If I don't pay off Jabba the Hut, I'm a dead man." Smuggler's have a reputation to protect with all the wrong people! Being a successful Smuggler means gaining respect in the underworld. As you complete your missions, you will earn credits and underworld faction points. Underworld Faction is a faction scale ranging from -3000 to 3000. A Smuggler's goal is to earn positive Underworld Faction to represent their reputation in the underworld. As Smugglers gain Underworld Faction, more profitable and challenging missions become available to them. Underworld Faction can only be earned by successfully completing smuggling missions. If you fail a smuggling mission, you will lose Underworld Faction. "It's too late. You should have paid him when you had the chance. Jabba's put a price on your head, so large that every bounty hunter in the galaxy will be looking for you. I'm lucky I found you first." Underworld criminals don't know how to keep a secret, so the word usually gets out when a Smuggler is carrying valuable goods. Smugglers can be attacked by mysterious rivals, thugs and an assortment of enemies at any time during a smuggling mission both on the ground and in space. These criminals might be the same level or below the smuggler or even elite! Criminals working to take a Smuggler's contraband might come alone or with friends, so be prepared to use as many skills as possible to get out of sticky situations. "I've outrun Imperial starships, not the local bulk-cruisers, mind you. I'm talking about the big Corellian ships now. She's fast enough for you, old man. What's the cargo?" Sometimes, smuggling missions will lead Smugglers to the stars. Broker's clients can sometimes be on other planets and the only way to complete these missions is to travel through space. To successfully complete smuggling missions in space, Smugglers will have to go to the nearest starport to take off after talking to a Broker. Instant travel vehicles are scanned for contraband and will be unavailable to Smugglers for the duration of their smuggling mission. Sorosuub Yachts are all registered as recreational vehicles and also go through rigorous scans at starports. Using a Yacht to run a smuggling mission will fail the mission. Like on the ground, Smugglers know that news about valuable cargo travels fast—even in space. Therefore, attacks from underworld thugs are common. Be forewarned! 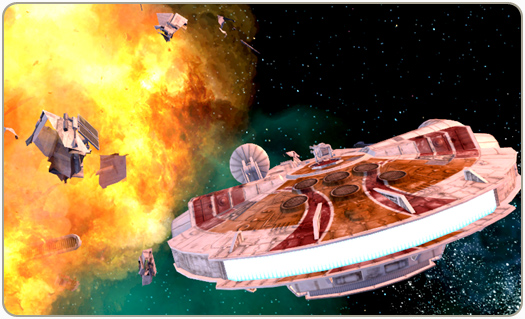 Criminal enemies have ship technology that will prevent Smugglers from being able to hyperspace out of the sector. "I'm just a simple man, trying to make my way in the universe..."
PvP smuggling missions are also available from Brokers. When a Smuggler accepts a PvP delivery mission he is immediately placed on the Bounty Hunter terminals. 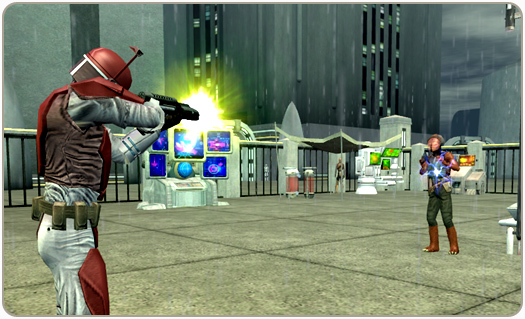 You can earn more credits and Underworld Faction for successful PvP missions than other types of smuggling missions. Player Bounty Hunters can take these missions and hunt the Smuggler down. If a Bounty Hunter kills a Smuggler at anytime during the smuggling mission, the Smuggler will fail the mission. Bounty Hunters who successfully kill a player Smuggler on a PvP smuggling mission lose Underworld Faction. A Bounty Hunter's goal is to lose Underworld Faction because as they hunt down their bounties, it represents their reputation, or fear, from underworld factions. A successful Bounty Hunter is often feared by underworld thugs because they never know when a bounty might be placed on them, quickly turning them from being the hunters to the hunted. Losing Underworld Faction opens up new Bounty Hunter titles available. If a Smuggler completes a PvP smuggling mission before being killed by a Bounty Hunter, the mission succeeds and earns the Smuggler some hard earned credits and Underworld Faction. We hope you enjoyed learning more about smuggling within this weeks Friday Feature. Last edited by Laviz; 02-08-2019 at 01:23 PM. Been having fun with the Smuggler profession. One question....Is there a command to disable looting contraband (particularly in space or from convoy crates)? If not, is that something that could be implemented in an upcoming patch? Smugglers are so much fun. What's the best way to earn the Underworld Faction rep?